As the recovery process begins after the April 15th fire the consumed the roof of Notre Dame Cathedral in Paris, we reflect on the event, we learn how to make stained glass from a 12th-century artisan, and we hear about the architectural glories of the cathedral as described by Elizabeth Boyle O’Reilly shortly after the First World War. Theophilus. De Diversis Artibus / An Essay Upon Various Arts. Translated by Robert Hendrie, John Murray, 1847. Google Books. O’Reilly, Elizabeth Boyle. 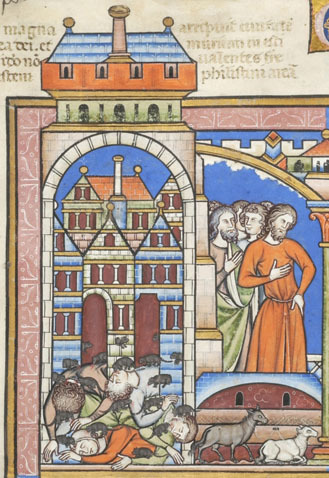 How France Built Her Cathedrals: A Study in the Twelfth and Thirteenth Centuries. Harper and Brothers, 1921. Google Books. Adams, Douglas and Mark Carwardine. Last Chance to See. Ballantine, 1990. Audio Credit: Adams, Douglas and Mark Carwardine. Last Chance to See CD-ROM. The Voyager Company, 1992. Dies Irae clip by Membreth (Wikimedia Commons). 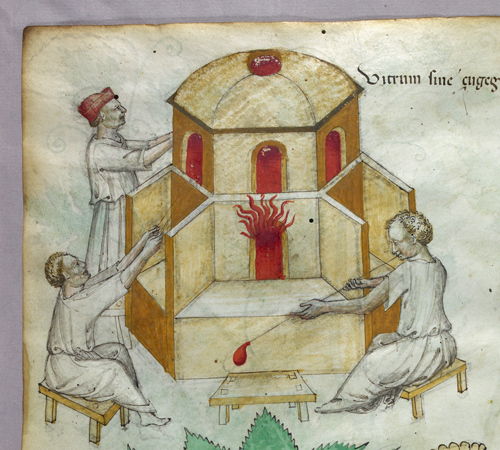 Image: Glassmaking, detail from British Library MS Sloane 4016, f. 101v. This episode, we return to an old favorite, the Lanercost Chronicle, to hear how Charles of Valois stoked violence between Normandy and the merchants of the Cinque Ports, as well as witnessing the Virgin Mary acting as a celestial attorney. The Chronicle of Lanercost: 1272–1346. Translated by Herbert Maxwell, James Maclehose and Sons, 1913. Archive.org. Matthew of Westminster (Matthew of Paris). Flowers of History, Especially Such as Relate to the Affairs of Britain. Translated by C.D. Yonge, vol. 2, Henry G. Bohn, 1853. Google Books. Little, A.G. “The Authorship of the Lanercost Chronicle.” The English Historical Review, vol. 31, 1916, pp. 269-279. Google Books. Stevenson, Joseph. Preface. Chronicon de Lanercost. Bannatyne Club, 1839, pp. i-xxi. Google Books. Zaleski, Carol. Otherworld Journeys: Accounts of Near-Death Experience in Medieval and Modern Times. Oxford UP, 1987. 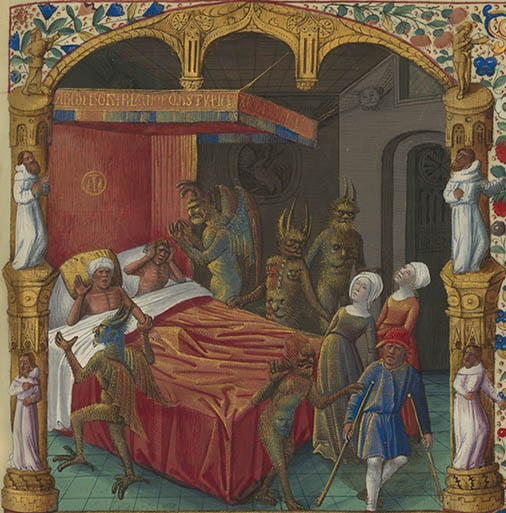 Image: Demons around a bedside, detail from Bibliothèque Nationale de France, MS Français 449, f. 64r. 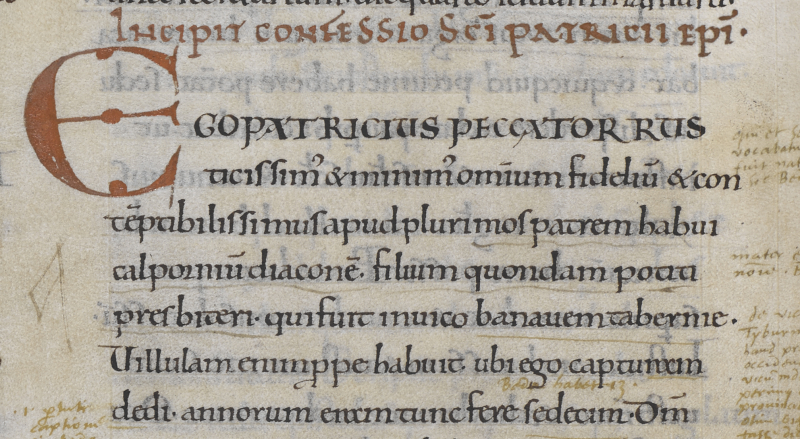 Image: Detail of Harley MS 3244 f.45r. For Valentine’s Day, we have a tale not so much of love, but of supernatural seduction. This is the story of a chaste young woman of the town of Dunwich stalked by a devil, as reported in The Life and Miracles of St. William of Norwich by Thomas of Monmouth. We also take a look at real and fictional Dunwich (a town of the Lovecraft mythos featured in “The Dunwich Horror”), and examine what exactly (or inexactly) an incubus was thought to be. Bryant B.L. “H. P. Lovecraft’s ‘Unnamable’ Middle Ages.” Medieval Afterlives in Popular Culture, edited by Gail Ashton and Dan Kline, Palgrave Macmillan, 2012, pp. 113-128. Isidore of Seville. The Etymologies of Isidore of Seville. Translated by Stephen A. Barney, W.J. Lewis, J.A. Beach, and Oliver Berghof with Muriel Hall, Cambridge UP, 2006.
van der Lugt, Maaike. “The Incubus in Scholastic Debate: Medicine, Theology, and Popular Belief.” Religion and Medicine in the Middle Ages, edited by Peter Biller and Joseph Ziegler, Boydell & Brewer, 2001, pp. 175-200.